Teatro dell’Eco started its Canadian activity in 2012 in Edmonton, writing and producing plays mostly for the Italian Community. Le Maschere and The Importance of Garlic, even if in two completely different ways, talk about the Italian Culture. 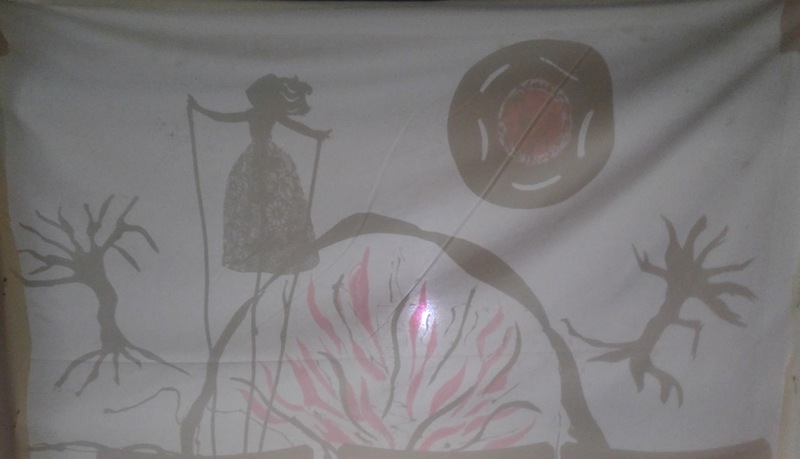 In the first case, because the play uses masks from the Italian folklore of Commedia dell’Arte; in the second case, because it creates a story around a traditional Italian dish. 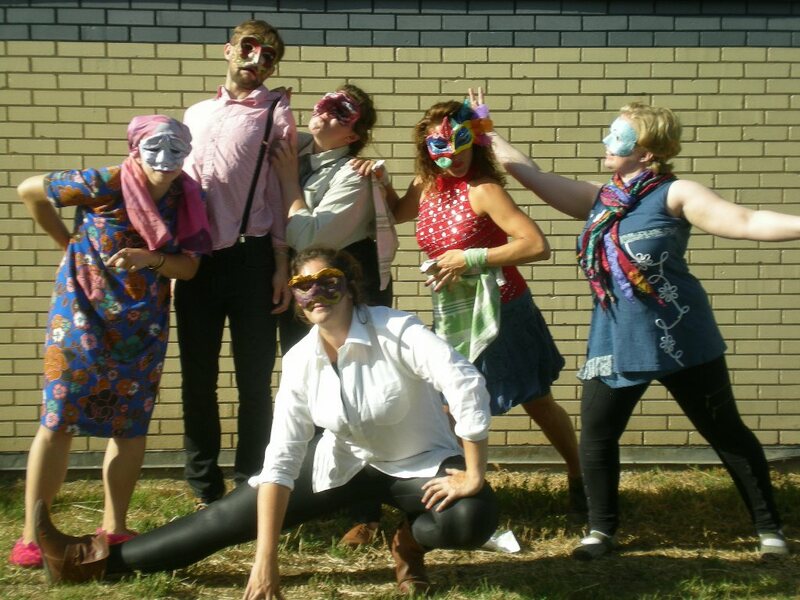 Le Maschere consists on a series of improv performances based on the characters of Commedia dell’Arte. The actors worked for several months to develop new characters, modeling them from the ancient Italian masks. Pantalone became Henry a stingy accountant with a silly son, Charlie (inspired by Arlecchino). Colombina was transformed in Nina a young immigrant who works as a house keeper for the old Rosetta, the gossip lady in the neighborhood. Caspiano, a modernization of the Capitano, has a big ego and a constant interest for females. Flavia, Rosetta’s granddaughter, is shaped on the Italian Innamorata. These characters live in the same neighborhood and are always ready for new adventures. Greek Chopsticks on Spaghetti Tales, written for the Heritage Festival, talks about the difficulty but also beauty of living in a multicultural country such as Canada from the point of view of an Italian newcomer and a fist generation Greek. 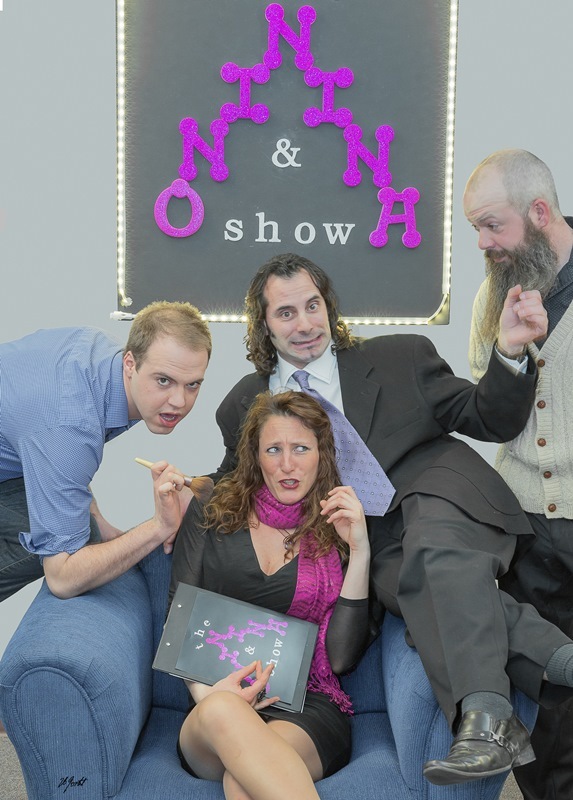 Another Italian character can be found in the variety/comedy show, The Nino&Nina show, that was presented to the audience once a month for 6 times. Dump is a story about a foreign worker who loses the work permit and becomes a homeless. Written for Re-beauty Festival, The Garbpires is another environmental play since it talks about the importance of rinsing recycled material. 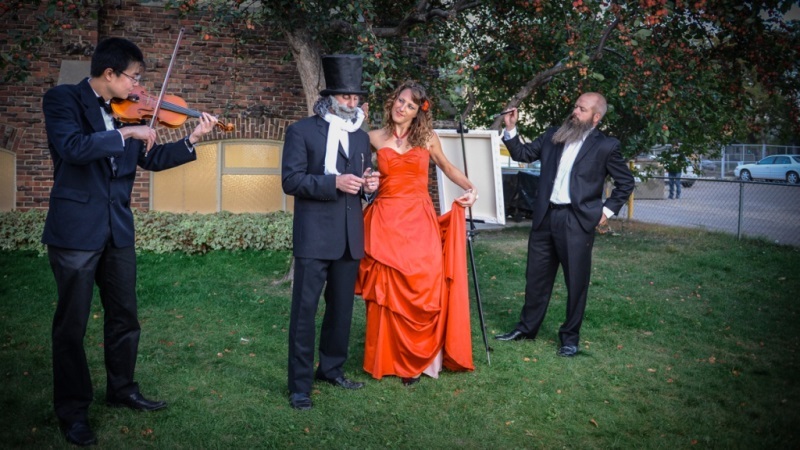 Notes from the Sky tells the story of the music composer Giuseppe Verdi from an unusual perspective. Dreaming Alberta is an environmental play commissioned by Town of Cochrane. A Franco-Albertan lady, a First Nation Elder, a young cowboy and a Filipino girl meet in the forest to rescue a beautiful girl they all dreamed about. At the beginning, they have troubles in understanding each other. Their diversity generates some conflicts. Throughout visions and dreams though, they will be able to work together and solve a mystery.